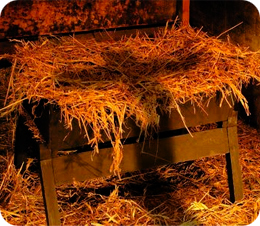 It hit me first at Christmas, then again at Easter – a realization of the depth to which God understood what I was feeling. It is hard to imagine that the God of the universe could understand such a thing, but I think He does. God sent His son to earth, letting him leave the glory of heaven for the suffering of this sin-filled world. Furthermore, He did this knowing what must happen – that the death of His son was the only way for the relationship with us to be restored. I can relate a little better to that moment when the skies grew dark, the earth trembled and God had to let go of His son, and I know he understands my pain. I would never try to compare my sacrifice to God’s. But maybe, just maybe, saying goodbye to our child – as tragic as it has been – opens a pathway for others to restore their relationships to God and for our own faith to be strengthened. I have to trust that just as God had a plan for the good of many through the death of His Son, there is a plan of hope in the death of our daughter as well. There is just no other explanation that makes any sense at all. The story doesn’t end with the death either. It ends with life, victory, hope. I can’t let my story end with Grace’s funeral. There has to be an ending that brings hope and healing. For God so loved baby Grace that He allowed her to leave behind a life of pain for an eternity in heaven. For God so loved me that He used a tragedy to make Himself known to me in a whole new way. For God so loved us that He has allowed us to be ministers of His love to others through this loss.